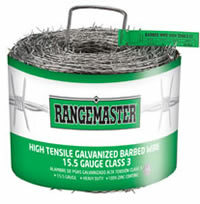 Permanent Fencing Wire Barbed Wire 15.5ga. 3 INCH SPACING. 4 point barbs. Hi-Tensile Steel. Class 3 Galvanized. 1320ft roll. 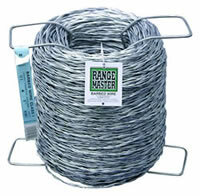 Permanent Fencing Wire Barbed Wire 5 inch spacing. 4 point barbs. Hi-Tensile Steel. Class 3 Galvanized. 1320ft roll. 33% stronger than the Low Carbon 12.5ga wire. 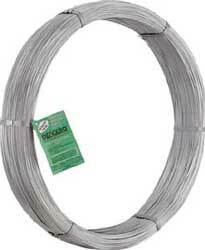 Permanent Fencing Wire Barbed Wire 12.5ga. Class 1 Galvanized. 1320 ft. 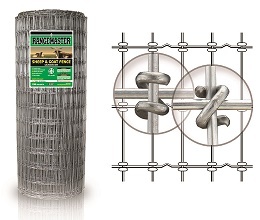 Permanent Fencing Wire Barbed Wire 5 inch spacing. 4 point barbs. Hi-Tensile Steel. Class 3 Galvanized. 1320ft roll. 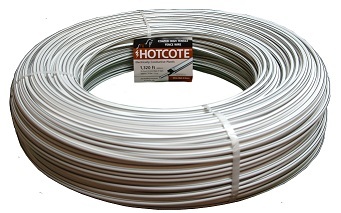 Permanent Fencing Wire Coated Electric 12.5ga. Class 3 Galvanized 1,320ft. 200,000 PSI. White with black stripe. 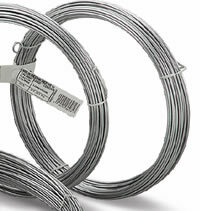 Permanent Fencing Wire Electric Fence Wire 12.5ga. Class 3 Galvanized. 4,000 feet. 180,000 PSI. Permanent Fencing Wire Field Fence Class 3 Galvanized. 330ft roll. Permanent Fencing Wire Field Fence Hi-Tensile Steel. Class 3 Galvanized. 330ft roll. Permanent Fencing Wire Field Fence Low Carbon Steel. Class 3 Galvanized. 330ft roll. Permanent Fencing Wire Non-Climb Fence Black. 12.5ga. Hi-Tensile. Zinc Aluminum Galvanization for 30-40 year rust prevention. 200 ft roll. Design and SEO by TCLinks.